The 7 US States That Might Have Been: Secret… Until Now! Can you imagine there being any other states in the USA, than the 50 that already exist? No, not really, right? But actually, there are 7 US states, that could well have come into existence! Think Jefferson, Texlahoma or Absaroka. 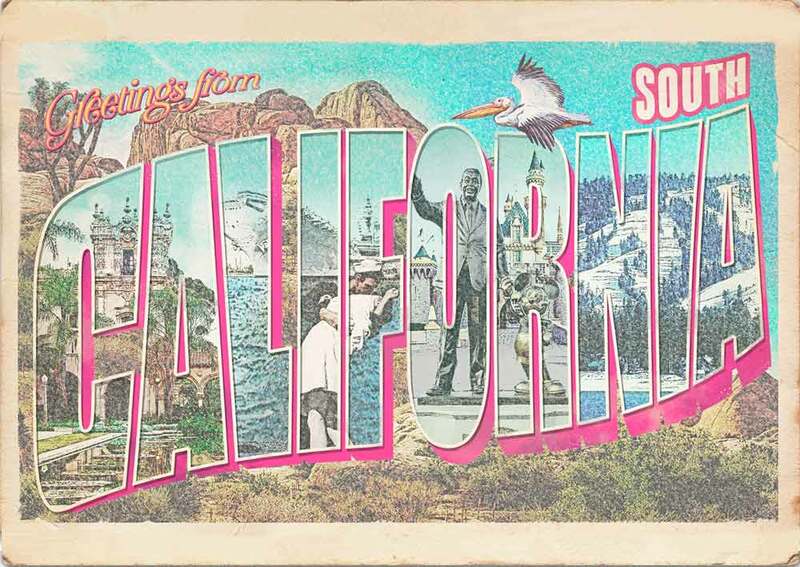 How about a little US history throwback and a look at these awesome postcard designs of the 7 US states – that might have been. 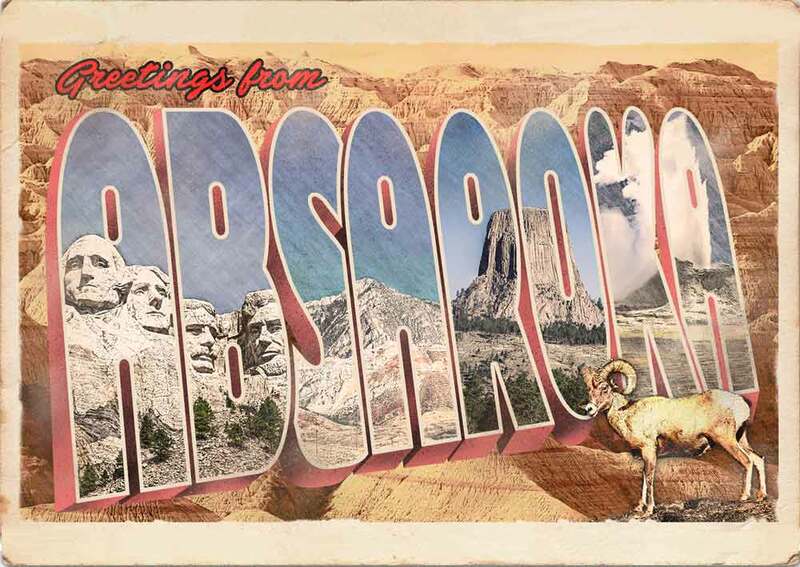 Discover these postcard designs: We’ve got them all and with us, you can send a little bit of (almost) American history to your friends and family to confuse and amaze them. Check out our holiday greetings too. 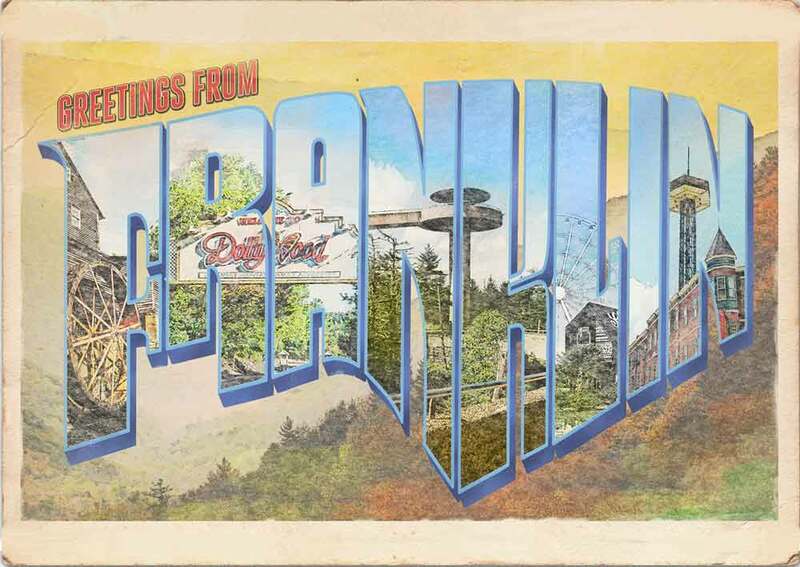 The first US state which you definitely haven’t heard of is Franklin, which would have been situated in today’s eastern Tennessee. 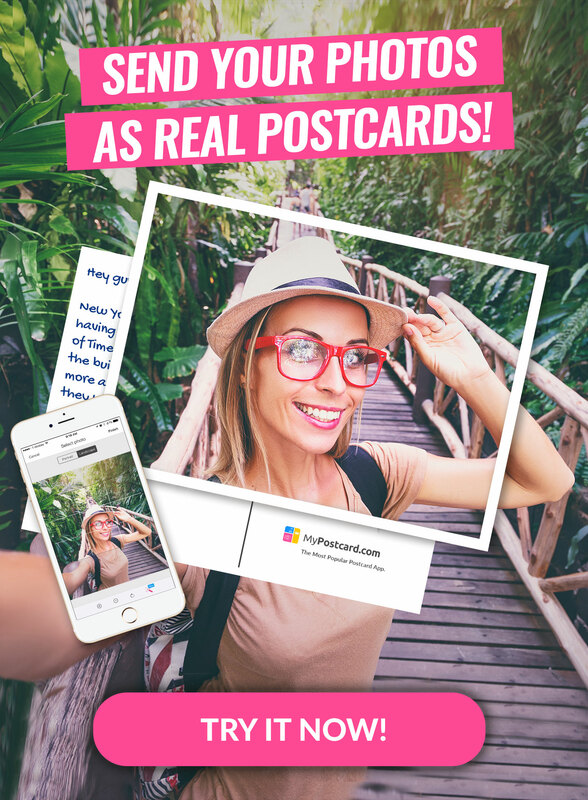 Find the real postcard in the MyPostcard Design Shop here. This second state proposal didn’t take place all that long ago… In 2011 actually, if you can believe it. The suggestion came from a supervisor of the Riverside Country, who proposed a 51st state. This new state would have contained parts of California – with the goal of pushing the economy and local services. The proposal found few supporters, however. See the postcard of South California here. It was the year 1939 – and a proposal was made to Congress which proposed bringing Wyoming, Montana and South Dakota together to establish Absaroka. With the country understandably pretty distracted on this particular year, nothing happened. 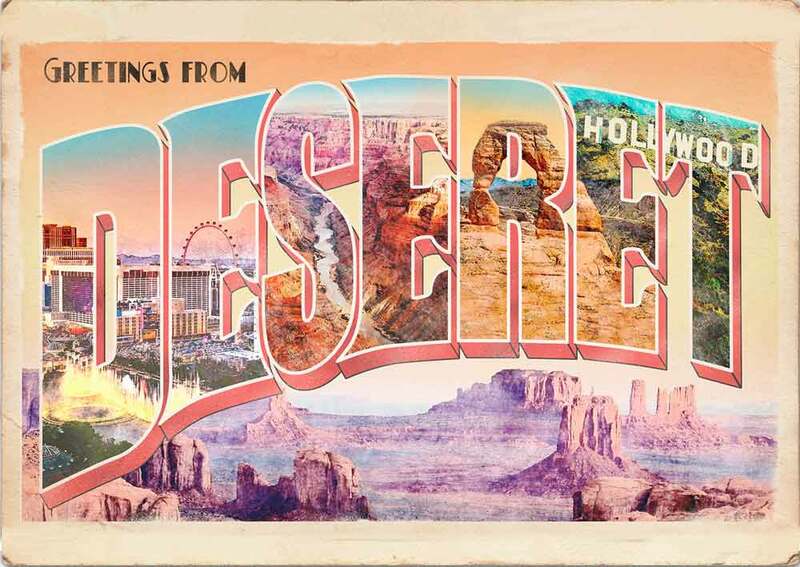 Deseret, the fourth US State that might have been, would have become home to a lot of famous attractions and incredible landscapes – unsurprisingly since it would have contained parts of present-day Utah, Arizona, California, Idaho, Nevada, New Mexico, Oregon and Wyoming. The Buddy Holly statue, the Cadillac Ranch and the Wichita Falls. All this could have been found in Texlahoma, a state which – as you’ve perhaps already guessed? – was very nearly made up of Texas and Oklahoma. This was in the 1900s when some inhabitants really were enthusiastic about the change – this enthusiasm did not, however, last too long. 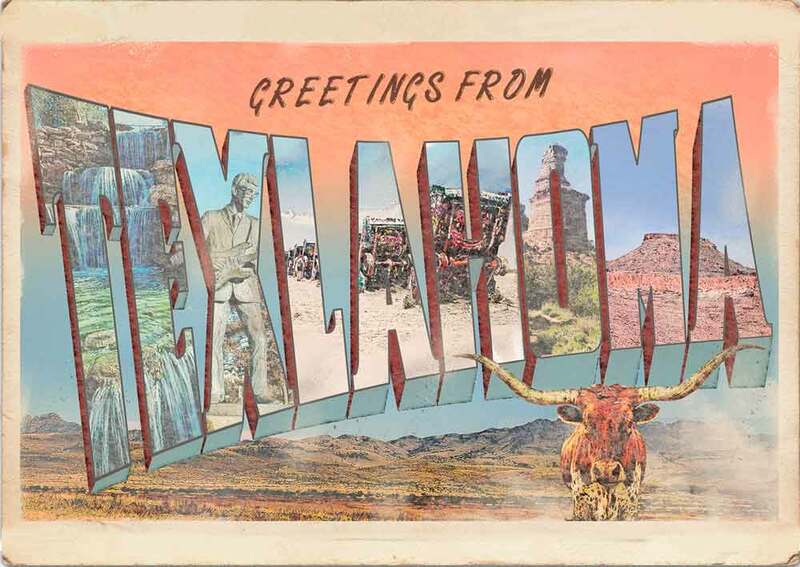 Send a fun postcard of that might-have-been Texlahoma with us. Maybe you’re not too surprised that more than a few American citizens have tried in the past to create and rename a state after Thomas Jefferson? And this could-have-been state #51 sandwiched between Oregon and California was to be named Jefferson. Our last almost US state is South Florida which was put forward in 2008. The reason behind this was the steadily increasing taxes being levied on its citizens. Some of these inhabitants thought that splitting Florida up into two parts – and thereby forcing its cool must-sees to be divided up, including Disney World, Miami or the Keys – was the best option. Find more information about the 7 US States that might have been here. 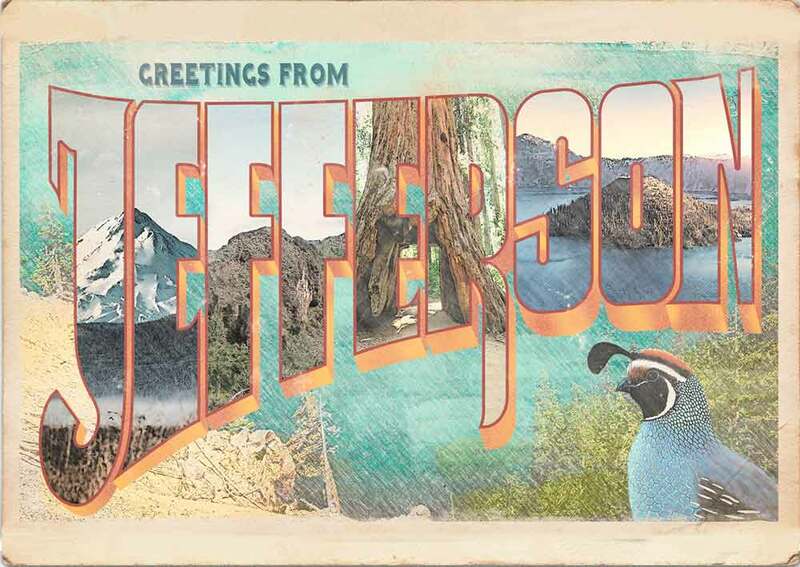 These 7 US States might not exist but these postcard designs do..
.. and you’ll find them in our MyPostcard Design Shop. 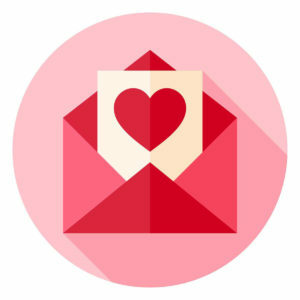 Discover these unique Designs and send them all over the world to friends and family. It’ll certainly be a surprise in their postbox. Take Time And Send A Postcard Today!